Are you concerned about climate change? The US Environmental Protection Agency says that energy production using fossil fuels is the main source of manmade greenhouse gasses in the United States. Meanwhile, a paper from the US Department of Energy states that the only alternative source of energy that currently has the technical potential to safely deliver more than 15 terawatt of power is solar energy. While solar energy gets a lot of attention today as a source of clean and renewable power, its use is nothing new. In fact, solar energy is the reason that every form of life on this planet is alive in the first place. This is common knowledge, but it may surprise you to learn that even manmade use of solar power has ancient roots. According to the US Department of Energy, or DOE, archeologists dug up lenses dating back to 700 BCE that suggest people used them to concentrate the sun’s rays to help them start fires. This process must have been more efficient than simply trying to rub two sticks together before the invention of matches. EcoWorld calculates that the amount of solar energy that gets absorbed by the sea, land, and atmosphere of the Earth is roughly equivalent to 20,000 times current worldwide energy consumption. Where does this power come from? Well, the sun is essentially a giant nuclear reactor, so solar energy really comes to us generated by nuclear power. Unlike worrisome and potentially dangerous nuclear reactors on earth, this reactor is 93 million miles away. Even better, scientists tell us that we will not have to worry about the sun running out of fuel for another four or five billion years. According to Scientific American, US solar power use has grown exponentially in the last few years, but it still only accounts for a small fraction of total power production. American solar power production grew over 400 percent between 2010 and 2014. In 2010, solar energy accounted for 0.2 percent of total power, and in 2014, it accounts for 1.13 percent. More than half of that additional power production came from homeowners and business owners who participate in programs where they can install solar energy systems and sell excess capacity back to their local power company at retail prices. NASA has already developed and demonstrated prototypes of solar power airplanes. The DOE reports that solar energy can electrolyze water to produce hydrogen. This hydrogen gets used in fuel cells that can power land transportation. In fact, a California transit agency called SunLine already has prototype busses that use this technology. British Petroleum opened an electric car recharging station that uses solar cells installed on the canopy over the charging station to produce electricity. With our current solar energy utilization at only a little over one percent, we still have plenty of room to grow. That also means that solar power industries have room to grow, and that will open up plenty of new jobs. 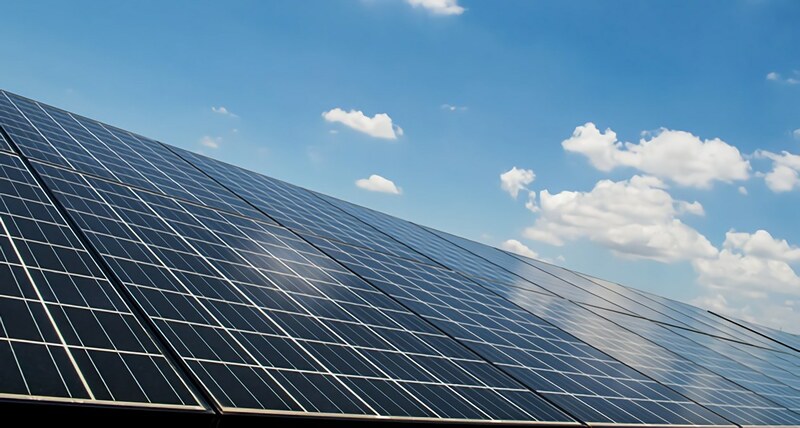 The Solar Energy Industries Association reported 13 percent job growth in 2012 and expected the field to keep growing for some time in the future.